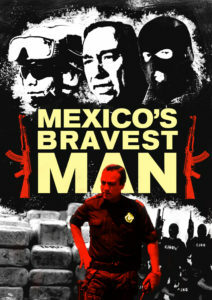 From acclaimed filmmaker Charlie Minn (49 Pulses, One October) comes the true story of Julian Leyzaola Perez, a police chief who took on the cartels and survived eight assassination attempts. From 2007 through 2013, Julian Leyzaola Perez, a former military officer turned police chief, declared open war on the drug cartels in Tijuana, Mexico and Juarez, Mexico. Murder rates in both cities dropped, but outrage spilled over regarding human-rights abuses committed by Leyzaola’s police force. Julián Leyzaola (born February 27, 1960 in Culiacán, Sinaloa) was a former Mexican military officer and former police chief and public safety secretary of Ciudad Juárez, Mexico. He became the new top cop in Ciudad Juárez after serving as the state police chief of Baja California, and is “credited with cleaning up Tijuana” from the drug violence. In the border city of Tijuana, Leyzaola launched “a crackdown on organized crime and police corruption,” resulting in multiple assassination plots by the cartels. Leyzaola was a Mexican law enforcement hero who cleaned up two major drug cities and never took a bribe. These achievements cost him dearly as he was shot and paralyzed while returning from a trip in Mexico in 2015. Were Leyzaola’s hardball policies justified? In a society known for rampant political corruption at all levels, was it possible for a police chief to play a clean game? as well as attempted murder suspects Hugo Alonso Serenil Luna, and Jesus Antonio Castaneda Alvarez.